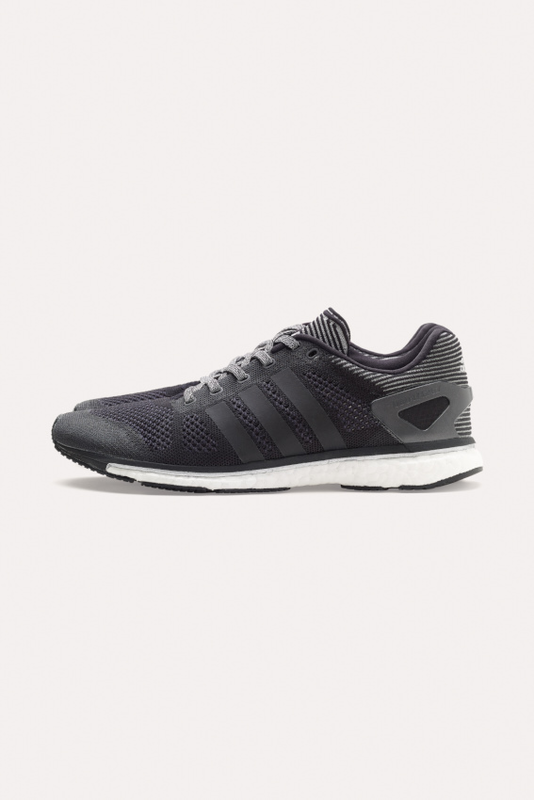 adidas combines performance cushioning, lightweight knit fabric, and advanced high visibility technology in the adizero Prime Boost, the newest evolution of adidas’ premium running shoe. The running development team weaves reflective thread through the upper of the shoe with its proprietary Primeknit digital knitting process to provide an offering that is hi vis black and white, a category often dominated by neon colored fabrics. In the northern hemisphere, runners are challenged with limited daylight during the winter months. When forced to run at night or in low light conditions, athletes choose bright or reflective fabrics. 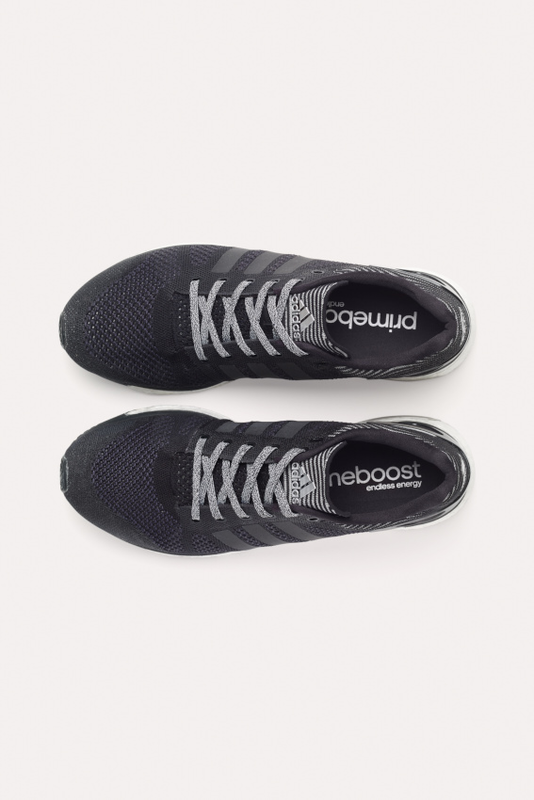 adidas has a history of development in hi vis, and has recently dedicated significant resources to increase the candlepower rating of its black and white reflective fabrics. 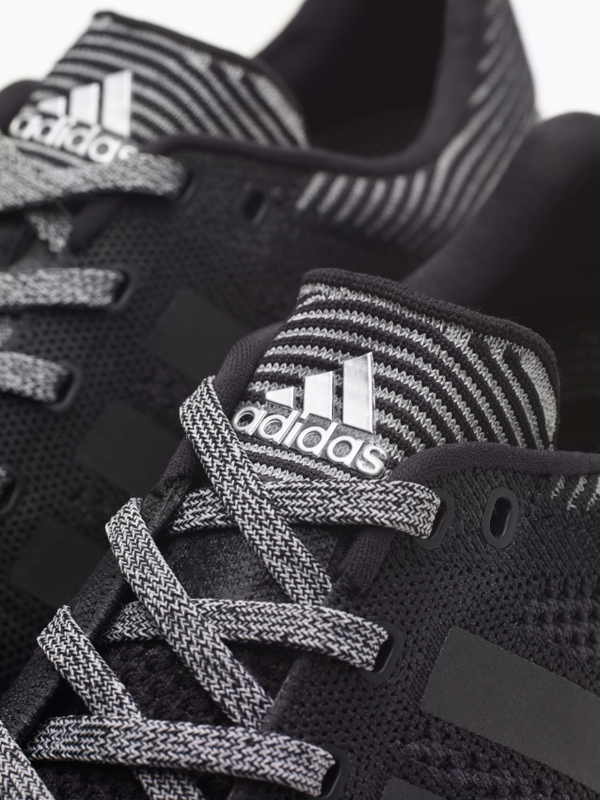 The adizero Prime Boost represents the pinnacle of adidas reflective technology, woven into a silhouette that is as fashionable as it is functional. 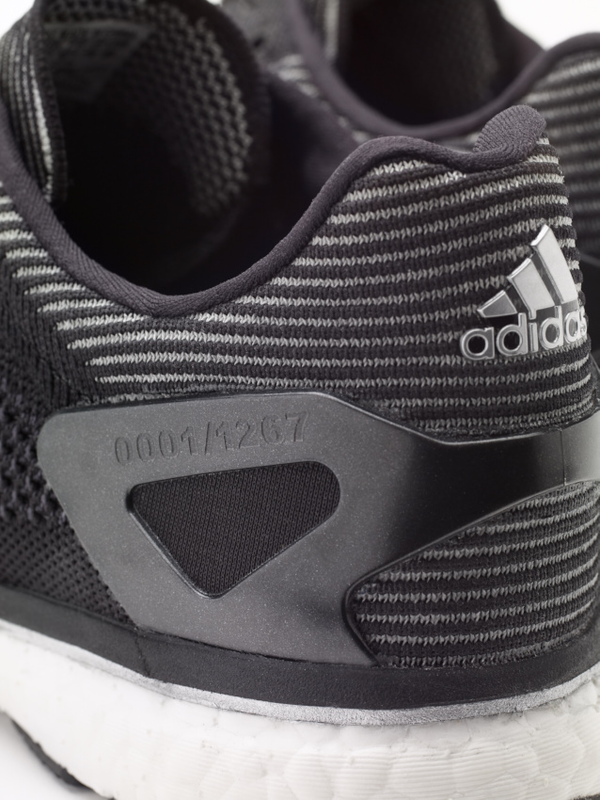 The adizero Prime Boost sole has been worn by the winners of 17 major marathons. Created for athletes of all abilities, adidas BOOST foam cushioning provides consistent energy return mile after mile, making every run feel like the first. 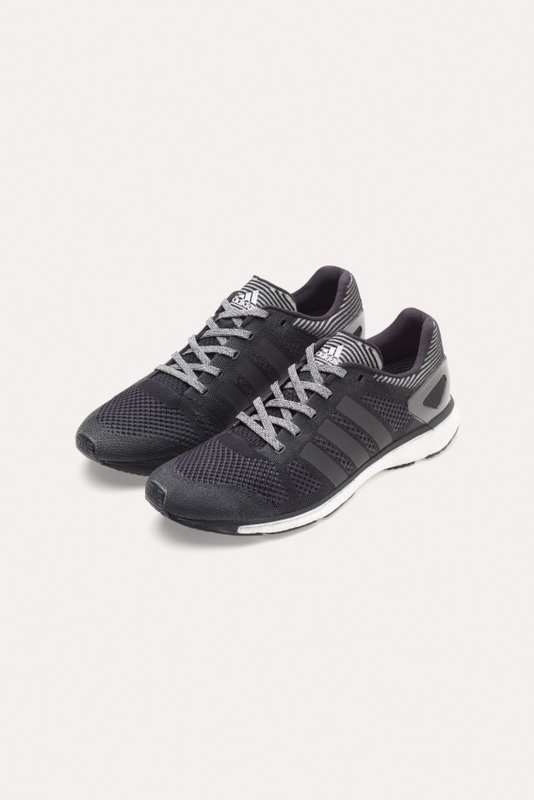 The Primeknit upper is carefully engineered to provide a precision fit for a secure, comfortable run. 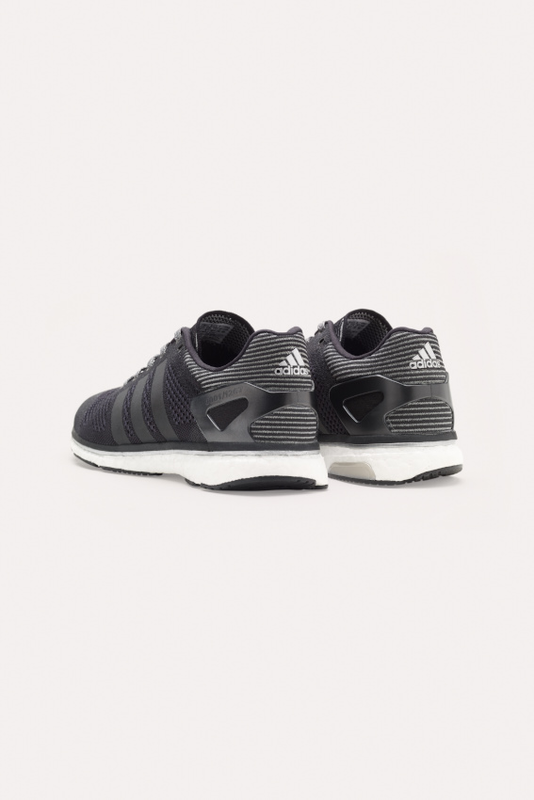 adidas chooses to offer this limited edition of the adizero Prime Boost at its Consortium level of distribution, the brand's highest tier of global retail partners.